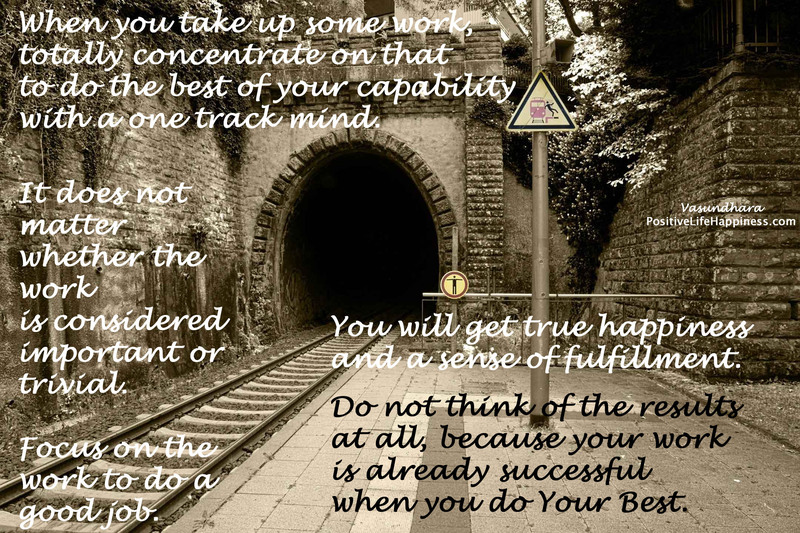 When you take up some work, totally concentrate on that to do the best of your capability with a one track mind. It does not matter whether the work is considered important or trivial. Focus on the work to do a good job. You will get true happiness and a sense of fulfillment. Do not think of the results at all, because your work is already successful when you do Your Best.